Stay up to date with what’s going on in the Heat Treat Industry. The roots of heat treating run deep within ASM International, as our society was founded in Detroit in 1913 as The Steel Treaters Club. Over the decades, the society’s technical scope (and its name) broadened from heat treating to metals to materials with the growth and expansion of membership interests. By 1969, the diversity of these interests resulted in the establishment of Technical Divisions, to focus on the needs of members with specific materials and process needs and to provide networking opportunities for those with similar interests. In 1994, the heat treating constituency of ASM – in many ways, the first members of ASM and still one of the largest affinity groups within the membership – created the ASM Heat Treating Society, to provide focused leadership, communications and service development to this vital member group. Today, HTS continues to grow and prosper. HTS is the world’s largest network of heat treaters, and HTS members work to provide events and services to serve their worldwide membership of captive and commercial heat treaters, equipment manufacturers, researchers, governments and technicians. 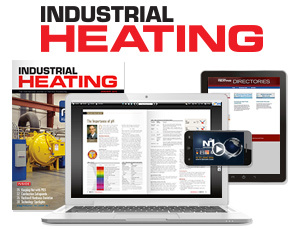 Industrial Heating is the world’s largest and most comprehensive integrated media resource focusing on high-temperature thermal processing technology, heat treatment and metallurgy. The topics we cover include: heat treating, ceramics and refractories/insulation, combustion and burners, heat- and corrosion-resistant composites/materials, induction heat treating, industrial gases and atmospheres, materials characterization and testing, melting/forming/joining, process control and instrumentation, sintering/powder metallurgy and vacuum/surface treatments. Processes such as annealing, brazing, hardening, nitriding, quenching and tempering are often highlighted. Industrial Heating also targets industries including aerospace, automotive, defense, medical, mining and drilling equipment, oil & gas, power generation, recycling and many more. At “The Monty.com” we can help you with virtually every aspect of heat treating. Our services include selling and buying surplus heat treating equipment, appraising used furnaces, targeted advertising for the Heat Treat Industry, suggesting Commercial Heat Treating Services, finding buyers for your Commercial Heat Treat Shop and General Heat Treat Industry Advice. In short “The Monty.com” can answer any of your questions about the Heat Treating Industry and assist you in most of your needs.